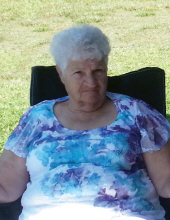 Alice J. Irwin, 83, of Franklin, passed away at 12:30 p.m. on Wednesday, April 3, 2019 at Sugar Creek Station in Franklin. Born on May 12, 1935 in DuBois, she was the daughter of the late Charles W. and Jemima (Hall) Shaffer. She was the last surviving member of her immediate family. She was married to her husband of 30 years, Donald C. Irwin, Sr.; he preceded her in death on February 27, 2019. For 29 years, Alice worked at many Quality Market's as a Produce Manager. In her spare time, Alice enjoyed golfing, bingo with her best friend, Lil, and crafts. She also cherished the times spent traveling the United States with her husband, Don. Alice also appeared on the long-time game show, "The Price Is Right", where she was a winning contestant. Alice is survived by her three daughters, Vickie Peterson and Cindy Peterson, both of Franklin, and Sue Reed and her husband, Dan, of Las Vegas; her four step-sons, Donald Irwin, Jr. and his wife, Valerie, of North Carolina, and David Irwin, Darren Irwin and his wife, Diane, and Douglas Irwin, all of Cleveland, OH; her two step-daughters, Rose Carter and her husband, Rod, of Fayetteville, GA, and Dina Irwin and her husband, Phil Zimpfer, of Cleveland, OH. She is further survived by her twelve grandchildren, Kim Gallegos, Michael and Andrew Nugent, Dustin, Autumn, Megan, and Eric Irwin, Stacie Miller, and John, Chad, Justin, and Reece Carter; several great-grandchildren; and her son-in-law, Tom Ferris. In addition to her parents and husband, Alice was preceded in death by her daughter, Joyce Ferris; her three brothers, Donald, Levas, and Lynn Shaffer; and her two sisters, Marie Roberts and Shirley Hollinbaugh. As per Alice's request, there will be no public visitation. A Celebration of Life Service for Alice will be held at a later date at the convenience of her family. The Gardinier Funeral Home, Inc., 1315 Chestnut Street, Franklin PA has been entrusted with her arrangements. The family would like to thank UPMC Mercy Center for Rehabilitation and Sugar Creek Station for the special care they gave to Alice. To send flowers or a remembrance gift to the family of Alice J. Irwin, please visit our Tribute Store. "Email Address" would like to share the life celebration of Alice J. Irwin. Click on the "link" to go to share a favorite memory or leave a condolence message for the family.